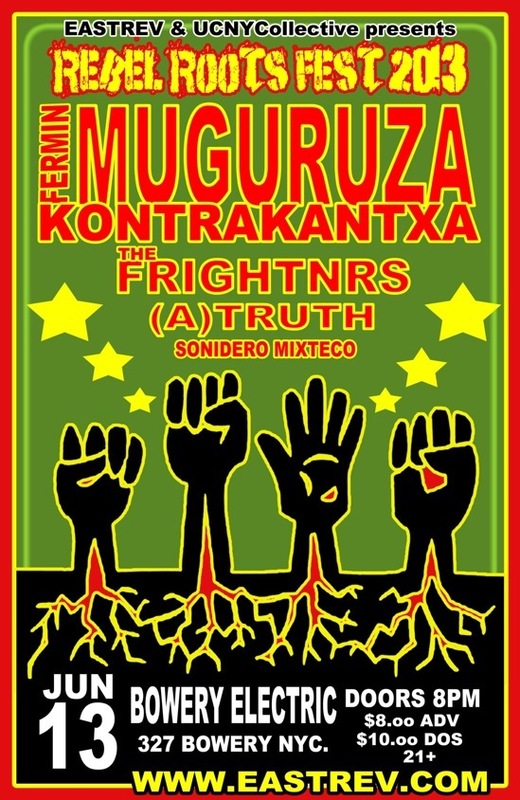 Basque singer Fermin Muguruza Kontrakantxa (ex Kortatu and Negu Gorriak). Six years after his last world tour, Fermin Muguruza is back on the road to commemorate 30 years of musical career and to celebrate his 50th birthday. NO MORE TOUR 13 will prove again be an explosive gathering, Muguruza’s style. The Asthmatic Lion (a.k.a Fermin Muguruza) is still roaring in 2013! Will sign her novel ETA-Estimated Time of Arrest (with a blurb written by F. Muguruza on the back cover) at the show.